BURNABY — They finished the regular season with just seven players, three of whom were freshmen and two of whom were sophomores. From the opening tip, they knew they weren’t going to be holding a Seniors Night because they didn’t have any. And then, over a Great Northwest Athletic Conference season-ending flurry of seven games in which they had virtually no margin for error, they won five of them including their last three in sudden-elimination fashion to finish at 9-11. 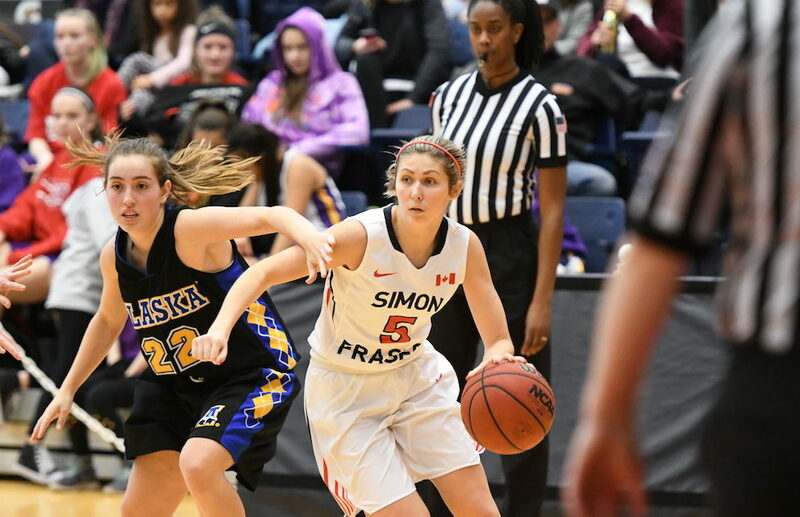 It’s a body of work the basketball gods simply couldn’t ignore, and so when the Simon Fraser Clan needed some help this past weekend just to keep their season alive and make the playoffs, the divine intervention they received seemed deserved. On Thursday, then, the Clan, as the sixth and final entrant, faces the Seattle Pacific Falcons in opening round of the GNAC playoffs which begin a three-day run in Anchorage. The winning team will gain automatic entry into the NCAA D-2 West Regionals, and if the Clan are any kind of underdog, its current three-game winning streak and strong finish make them a team no one at the six-team event wants to face. 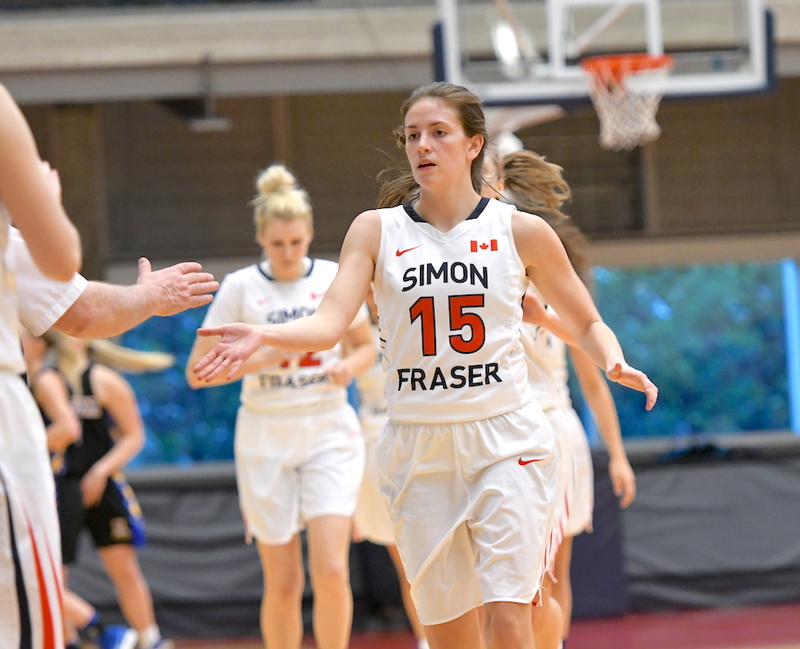 Consider the obstacles SFU faced from the start of the season. Graduation tolls, the decisions of several players with eligibility remaining not to return and then a key injury to the conference’s Rookie of the Year Ozi Nwabuko seemed to doom the Clan to the basement of the conference. Yet in what has been one of the most impressive coaching performances in head coach Bruce Langford’s 18 seasons at the helm atop Burnaby Mountain, a true and committed team emerged. And the spin-off benefit from having weathered the storm? No where was it better illustrated than in SFU’s third-to-last game of the conference schedule, an 85-73 overtime win against visiting Central Washington on Feb. 17. Tied at 66 after regulation, Langford went to sophomores Tia Tsang and Tayler Drynan, redshirt freshmen Jessica Jones and Claudia Hart, and pure freshman in Kendal Sands in the overtime and they were so good, he simply could not take them off the floor. Tied 66-66 at the end of regulation, that group completely dominated a much more experienced Wildcats team, outscoring them 19-7 in the extra session. It was the ‘wow’ moment of the season, except the Clan has been short-staffed for so long now that no one had even realized what had taken place. Ask Tsang about it, and while it may not always be ideal, it has been the perfect scenario with which to learn and grow on the fast-break fly. That process of increased live-game reps has been going on so long, that the youngest Clan player of them all laughs when she kiddingly describes the current season as a full career. With the entire team back, with Nwabuko set to become a redshirt sophomore, and with another excellent recruiting class headed up the hill, the roster size will swell next season back to standard proportions. And a season that seemed lost at various stages of the campaign could prove to be one of the most fruitful in program history because until every current member of the 2017-18 team departs via graduation, their respective experience level will always be higher than the numbers of years listed by their name on the team roster. “I have honestly seen such an improvement in this team,” adds Sands. “I have see that in myself as well. There is a confidence in all of us, in how we dribble, the way we pass, the way we’re getting our groove. We trust each other.